One of the ways we are celebrating our 35th anniversary coming up on Nov. 20 is by hearing from sponsored friends and staff around the world. We asked how Unbound has changed them, what their favorite thing about being sponsored is or what greeting they have for us at this milestone. We’re featuring 35 snapshots of our global community over the next several weeks leading up to Nov. 20, right here on the blog. Check out the second set of seven snapshots in the series, and stay tuned! “I got sponsored in 2010. I have a beautiful sponsor, named Ann, and she has helped [my family] so much. She provides much support for us and she always writes beautiful letters to tell us how much she loves us. She has three children, two boys and a girl — I even got a picture, which I treasure.” —Jackeline, 14, is a sponsored youth from Guatemala who enjoys science and dreams of becoming a chef because she loves food. “I was overjoyed [when I was sponsored]. After my retirement, life was hard. I had no savings. Unbound stepped in and became my helper. They gave me food and took care of me. I am happy that Unbound offers support to the needy in my community. 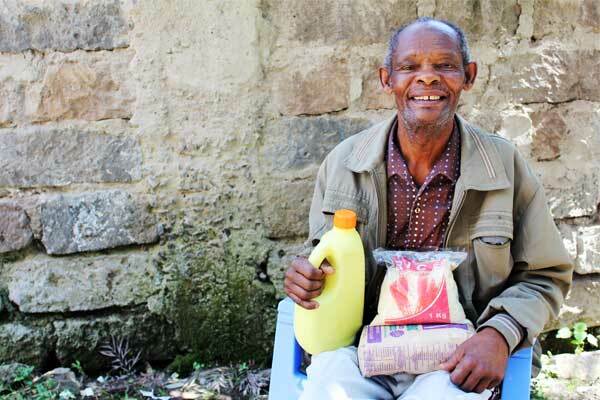 Their lives are refreshed by the fact that Unbound walks with them.” — Peter, 68, is a sponsored elder from Kenya. Before his retirement he worked as a funeral assistant in a morgue. “I always gain my self-confidence by joining activities offered to us by Unbound. 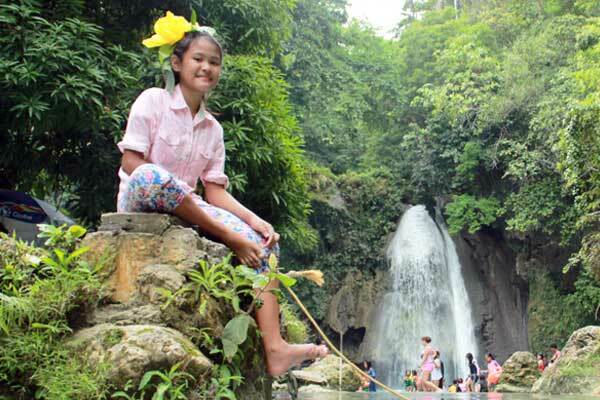 Unbound helps not only me, but my family and community as well through livelihood projects that can help our area.” — Lovely, 11, is a sponsored child in the Philippines who loves to play volleyball and studies hard to do well in school. “Unbound support is very helpful for our family especially [because] we are not in a position to get any support from our relatives. We are supported not only for education, but for getting help for clothing and medical needs, too. There are many suffering children out there. 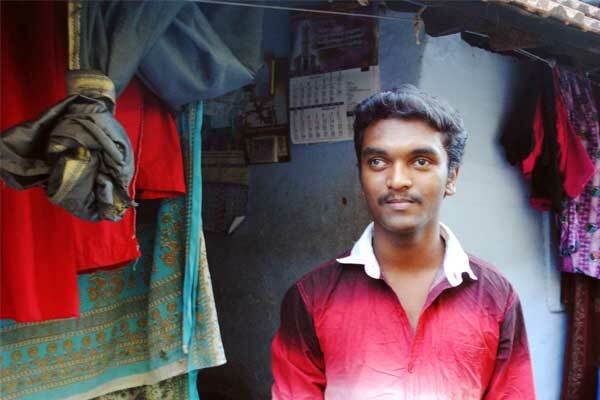 I wish they all should get a bright future through Unbound.” — Manikandan, 20, is a sponsored youth in India. He is currently in his third year of his Bachelor of Science in Math. “As we celebrate our 35th Anniversary, Unbound will keep on inspiring all of us to do well in school and reach our dreams. I will not waste the sponsorship that you are giving to me. I feel thankful. I don’t know what will happen, but I know that there is a person on the other side of the world who is willing to support me in my education. 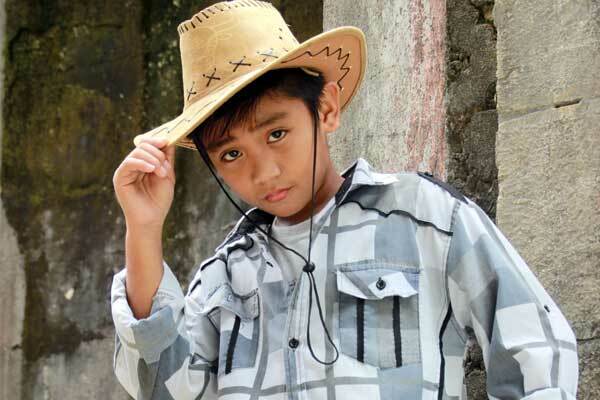 If given the chance, I want to meet her in person.” — Kenneth, 11, is a sponsored child in the Philippines. He enjoyed taking part in the photo shoot because he felt like a cowboy model. “When I received the news that my son had a sponsor, I was so happy. Knowing that there is someone who was willing to shoulder part of my responsibility, touched my heart. Unbound has done so much for me and the community I live in. 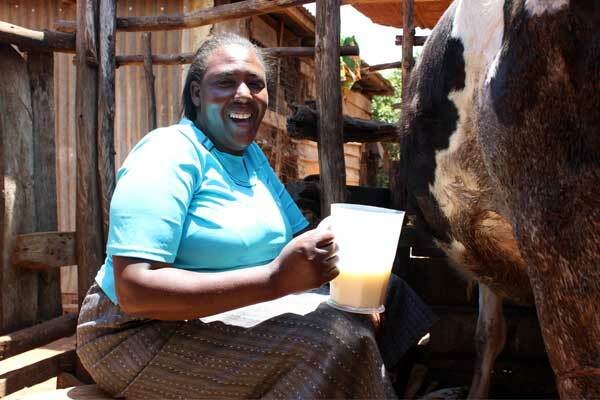 Seeing the children going to school and pursuing education truly fills my heart with joy.” — Serah, 42, the mother of sponsored child Bernard in Kenya, supports her family from the milk provided by her cow and from growing potatoes. “Sponsorship makes me happy; it makes my whole family happy because we get encouragement and support. I’ve learned to smile at life because of Unbound. I love getting letters from my sponsor; I learned that he has three children. Unbound is very special. Thanks to Unbound I was able to have my own bed. I used to sleep with my mother.” — Maria, 14, is a sponsored youth in Guatemala who wants to be a doctor when she grows up. Jordan joined the Unbound family in 2011, just a few weeks after completing her masters in English: Creative Writing from Kansas State University. Jordan is constantly inspired by the hope and creativity displayed by the sponsored members and their families and loves being able to share their stories with the rest of the world.